In the past few years the once crumbling city of Detroit has seen a resurgence. In the wake of the automotive industry’s near collapse, companies like Quicken Loans and Shinola have made the corpse of the motor city their home. In 2010, Detroit became the fastest growing region for technology jobs with names like Google, IBM, and ProQuest seeing the bedraggled city as a great place to make their mark (tax breaks don’t hurt, either). As a result of this resurgence, many in the area fear that this gentrification of the city is wiping away the remnants of the city’s rugged history. 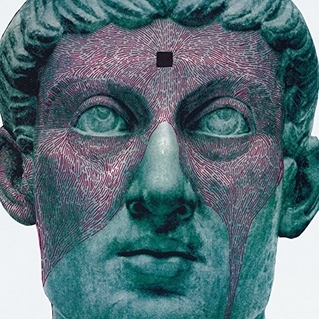 Protomartyr, a band of Detroit natives, execute this narrative perfectly in their latest release, The Agent Intellect. On the surface, Agent Intellect explores frontman Joe Casey’s struggle with the recent death of his father, but this discussion of mortality also doubles as an omen for the state of the band’s hometown. This isn’t Dan Gilbert’s squeaky clean, renovated Detroit; this is the seedy underbelly, filled with songs of arson, auto theft, drug abuse, and violence.